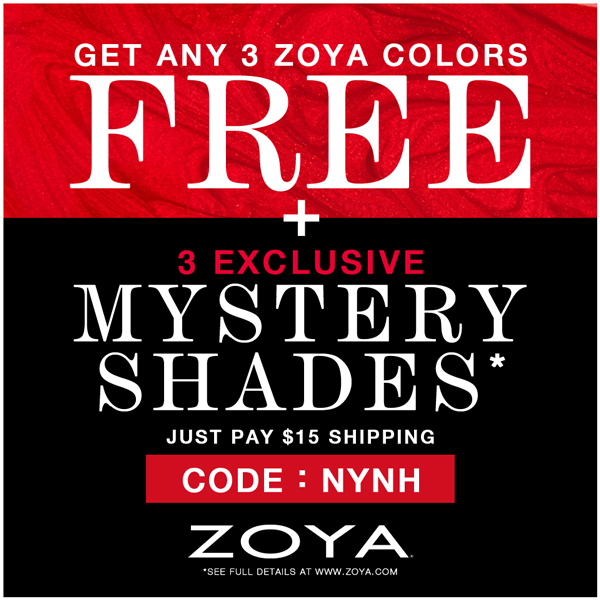 So today i thought i would share with you a promoting that i just found from zoya nail polish! I am pretty excited about this i have been wanting to try Zoya Nail polish for a while but their site did not send to a Canadians until now! As well they are having an awesome promoting going on because it is a new year and the new color of the year! The color for 2015 is Marsala according to Pantone which is a naturally robust and earthly red wine color. Now to just decide which three nail polishes i want to get! I think i will definitely be getting some pixie dust polishes and i am not sure what else! Which one are you thinking of getting? Do you like zoya nail polish too?